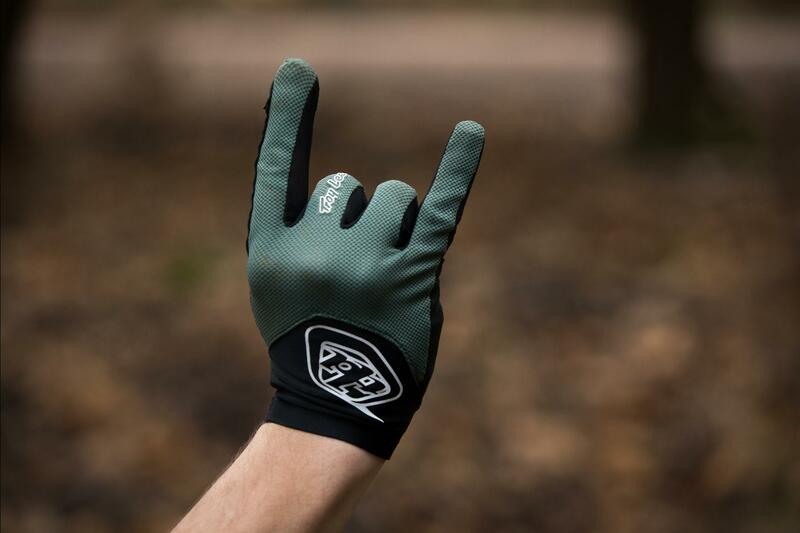 Troy Lee Designs Fall Range | Everything You Need To Know. We’re big fans of Troy Lee Designs’ riding kit and their fall/autumn kit has certainly not done anything to hamper their reputation. 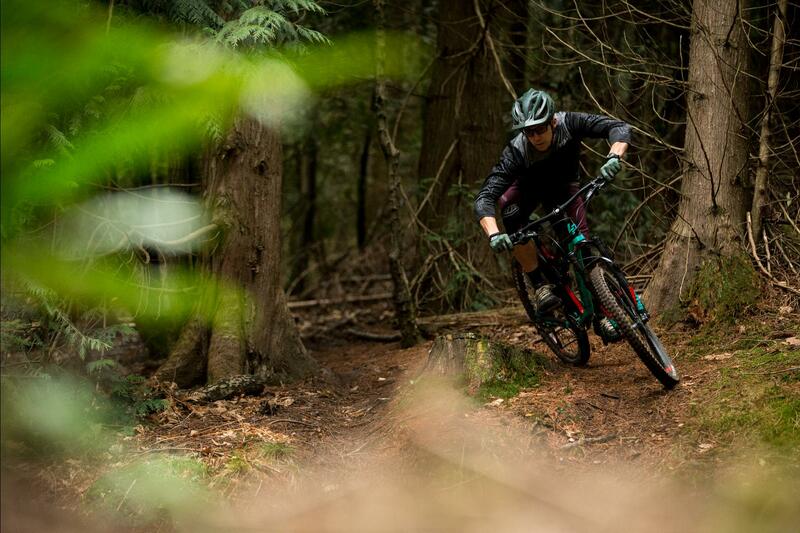 We take a closer look at some of our pick of the Troy Lee Designs fall autumn range and pick out a few key elements that put them out in front. Ruckus Fall Edition 3/4 Jersey. S, M, L, XL and XXL sizes. 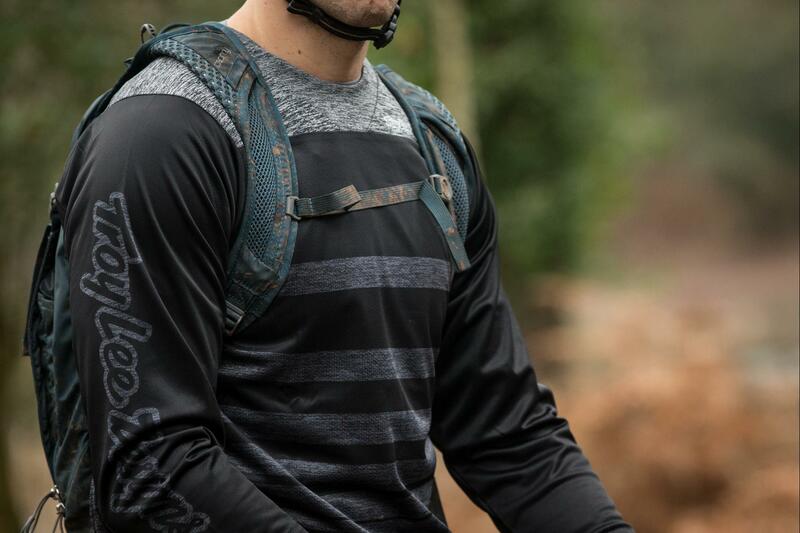 There’s everything you’d expect from a high quality technical riding jersey in the Troy Lee Designs Ruckus 3/4 Jersey, but it’s the feel of the 100% polyester knit fabric against the skin that means you can forget it’s even there and concentrate on the task at hand. A really nice touch is the Bluesign-approved eco-friendly fabric. If you’re not familiar with Bluesign, they are company who have designed a system for the textile industry to reduce the environmental impact throughout the supply chain. 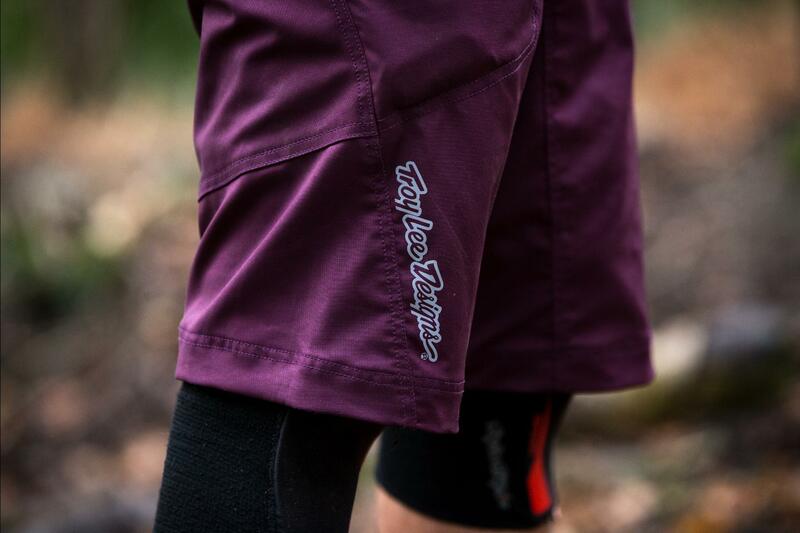 Sitting in between a casual and a race short make the Troy Lee Designs Skyline Trail Shorts a very good option for the vast majority of riding most will end up doing, but the devil is in the detail, and that’s what makes them one of our favourites. The velcro fly means you’ll never have a drafty undercarriage, with a single button closure meaning they’re easy to close even with winter gloves on. The 2-way stretch fabric is more prevalent on the current model making them even more comfortable. Stage Full Face Enduro Helmet. Troy Lee have long been known for producing the go-to helmets for racers, and as a result, their DH line has seen more championships that any other full face lids out there. 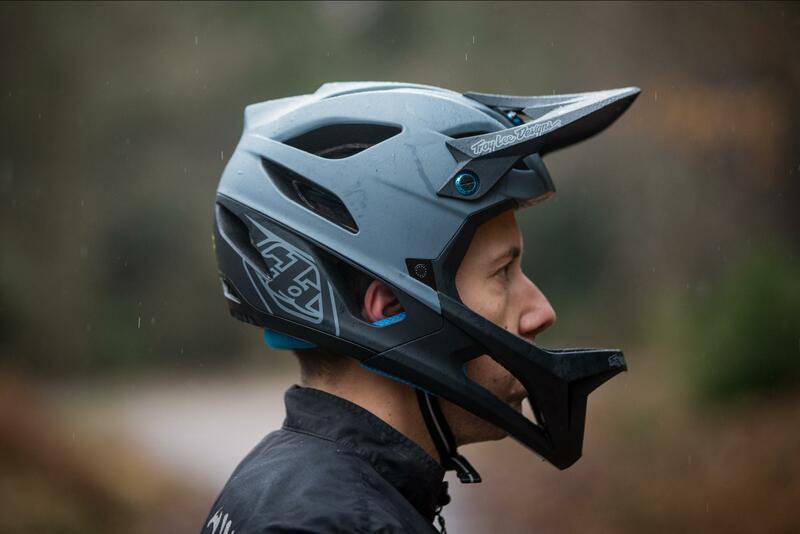 The Troy Lee Designs Stage enduro full face helmet continues that trend and is currently the lightest DH-certified full face available. That low weight (690g) isn’t too much more than a lot of half face helmets, meaning you get added protection without the weight penalty. The magnetic closure might not be new to helmets but it’s the cherry on the cake and ensures a solid closure even with cold hands or thick gloves on. S, M, L, XL and 2XL sizes. Much like their line of helmets, Troy Lee Designs’ Ace gloves have been worn by the fastest racers since forever. Available in more colours and designs than you can shake a stick at, you’ll be sure to find one that suits. They’re not the warmest gloves, but when the temperatures are approaching or in double figures these are hard to beat. Troy Lee entered the half face market with the A1, and the Troy Lee Designs A2 MIPS helmet is, unsurprisingly, the next evolution of that design. While the A1 was certainly no slouch, the A2 really steps things up a notch in terms of ventilation, safety and fit. Vent size has been increased by 25% over the A1 meaning hot summer’s days aren’t going to leave you a sweaty mess. The A2 has 16% more EPP and EPS liner on the brow, designed to deal with low and high speed impacts better, with similar increases on key impact zones. Three-position front and rear fit system means you can fine-tune the A2 to fit your melon. You can check out Troy Lee’s full autumn (and other) ranges over on their website here.